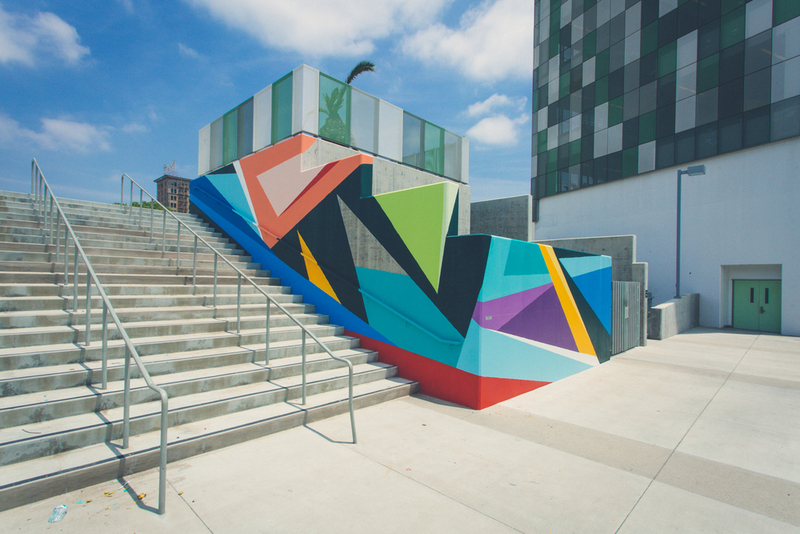 Honored to be a part of the Branded Arts / RFK Mural Festival in Los Angeles along side many great artists. 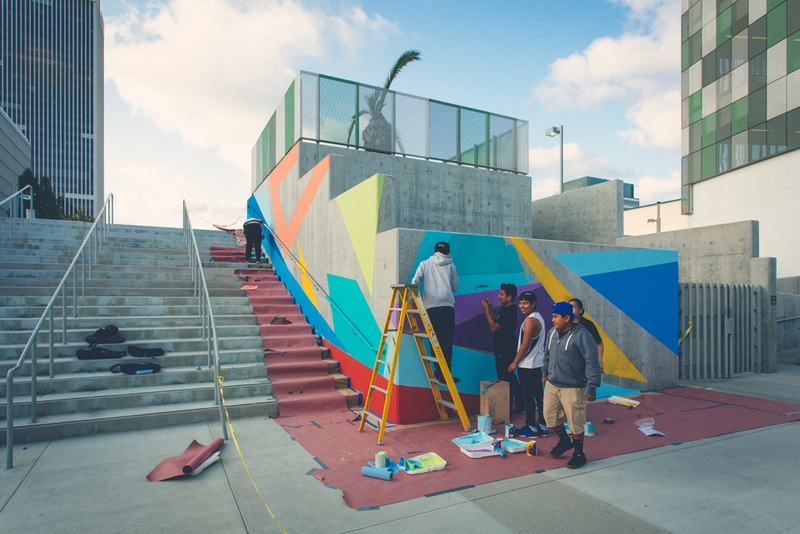 April 21, 2016 | Los Angeles, CA ­ Branded Arts is excited to announce its latest project, the Robert F. Kennedy Mural Festival. 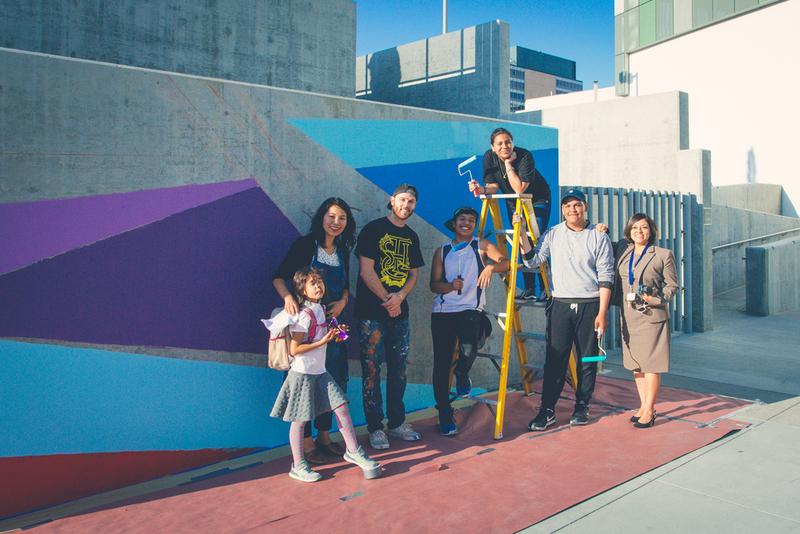 28 artists have been commissioned to paint a series of murals throughout the Robert F. Kennedy Community Schools during a one­week span from May 23-­27, 2016. 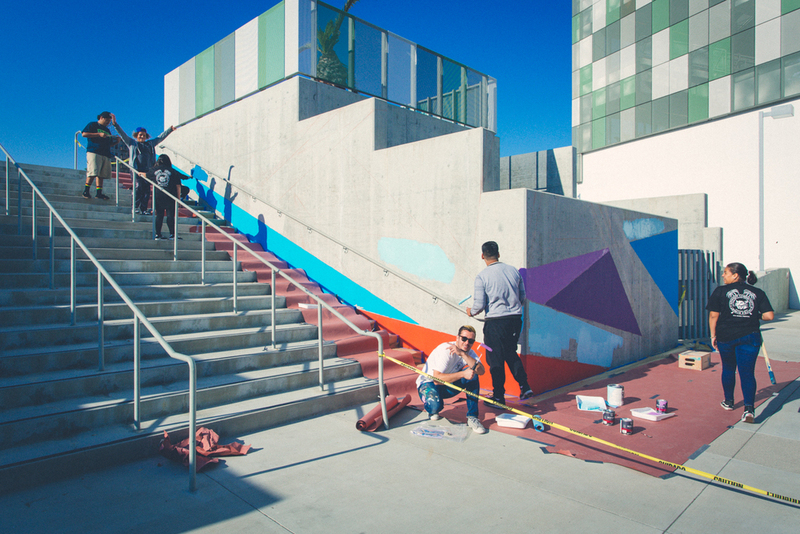 In a desire to promote arts in school, these projects also aim to send an inspirational and positive message to kids ranging from kindergarten to the 12th grade. Not only will murals be painted throughout the week, but the Paul Schrade Library will be transformed into a gallery exhibition space featuring work from over 30 artists, as well as artwork from the students. 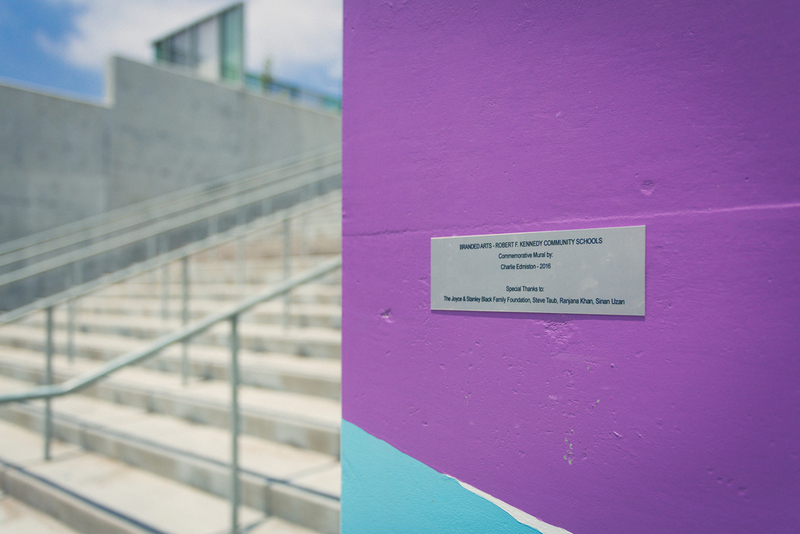 This project was born out of a collaboration with LAUSD Local District Central staff under the guidance of Superintendent Roberto Antonio Martinez. 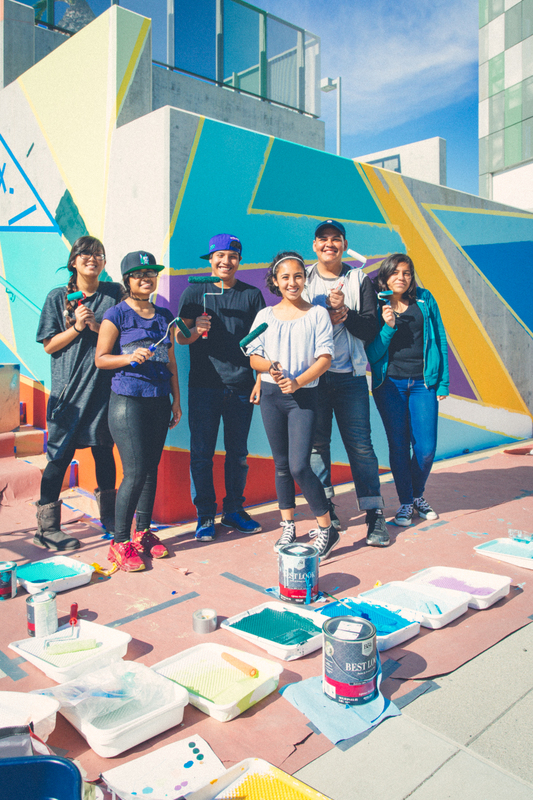 The RFK Mural festival continues to facilitate the importance of art in educational systems, hosting student and public engagement projects throughout its week­long run. 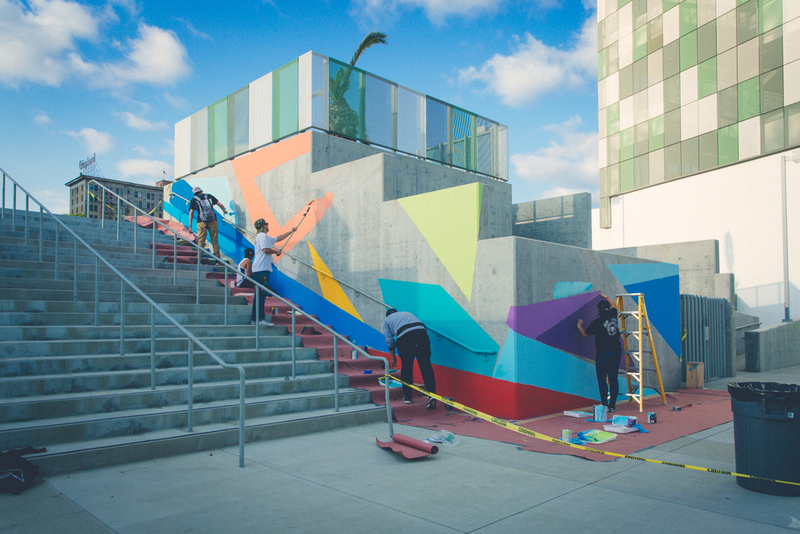 Students will be involved with mural production through workshops and seminars hosted by participating artists, and exhibit their artwork alongside the likes of Tim Biskup, D*Face and Erik Jones in the Paul Schrade Library Gallery. There will be opportunities to attend lecture and panel discussions, film screenings, and guided tours of the newly created on­site murals including a 40­foot high portrait of Robert F. Kennedy by Shepard Fairey.